Our Thailand Director, Tawee Donchai, has been a key figure in the development of The Freedom Story. He has been with us since The SOLD Project was just an idea for a documentary. 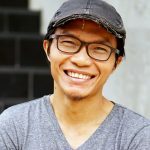 He has helped shape its beginning as a non-profit organization, and has been instrumental in helping to define the organization’s character and relationship with the local communities in Thailand. This year, he will be leaving, as he is moving with his family to Canada, where he will pursue the leadership training he feels he needs. He hopes to learn from academic programs and other nonprofit organizations in Canada and the U.S., in order to step and grow into the next level of leadership. We talked with him briefly to ask him to share some of his thoughts, upon his departure. We’re happy to share his thoughts with you here. What are some of your proudest achievements at The Freedom Story? The community has changed. The kids, the parents, the people in the community have all changed, becoming more active, and increasingly, wanting to pursue a different, better life. The team has also really grown. They feel strong ownership of Watanasaree and The Freedom Story. They put their hearts into the work. They invest their lives into it. That’s my dream team. I want people to do the work because they want to. And for the students, they’ve already gone beyond the dream we had for them 10 years ago—the dream for the choices for their lives, for their future, for their education. They think outside of the box, way ahead of me. Ten years ago, I was proud to see someone who could see beyond the village. Now they think about things that wouldn’t even occur to me. It’s evidence that the community has changed in a very positive way – from being a vulnerable community to one that is thriving. I think they’ll be the next generation that carries on the work. Some of them have already graduated. Some of them will graduate in a year or two. I totally believe that they already capable of doing a better job than me. I’m no longer the only person that [is invested in community development]. Our students and parents think about not just themselves, they think about the community too. They’re not required to. They want to do it. Even when I tell them they wouldn’t make lots of money [doing social work], they say it doesn’t matter. They want to do it. Have there been any important lessons over the years? The value of a leadership team. I’ve learned the importance of raising up a leadership team who will grow with you as leaders, and who will contribute to the direction and culture of the organization. Raise up the next generation of leaders. Raise more young leaders within the community because that’s the long-term and sustainable solution. We have to learn how to generate and create sustainable ways to carry-on the work, both in terms of man power and resources. Local participation. I think we should learn and continue to invest in locals participating in developmental work, where locals contributing resources and participate in the organization’s strategy, plan, and direction. The program has been successful–and a big part of that comes from the willingness to respect and learn what’s appropriate in the culture of the communities we are serving. We have started implementing each of these main points, and we could do more. If we had started 5 years ago, I think we could have grown even beyond this. Don’t get me wrong I’m very proud and happy with how we grew, but my lesson learned was that if we had been able to do this 5 years ago, we’d really have a team that could take us to another level. My future plan is to learn how to do this well and be able to contribute even more to community development work. What are your hopes for The Freedom Story’s future? I hope for the best for TFS. The ultimate goal would be if we can truly become a good model for prevention programs of human trafficking. We can share what we have learned, in a curriculum or program that people can have as guidelines. We can become mentors or coaches in helping people do the work in their own community. The Freedom Story and Watanaseree could be the model to implement, maybe throughout the northern region, or even all of Thailand, through partnerships. There are lots of organizations working in anti human trafficking. So if we have a really successful model that can be adapted and implemented in other areas, other people will find that the resources can help equip them, and our staff can help walk with them and coach them to do it well. I think that would be the best contribution of TFS to the community. Is there anything else you’d like others to know? I’m grateful for everyone who has been involved for the past 10 years – all of the donors, sponsors, volunteers and the people in the communities where we work. They have all contributed in growing this organization from an idea to reality. We have changed so many lives and have created a positive impact that will continue to affect future generations. I want to encourage people who love their community and have concerns about social issues within their community. I want to tell them that they can do it. Ten years ago, I didn’t have the confidence that all of this could happen. I just believed that we needed to do something. From seeing the issues and wanting to be a part of its solution, even though at the time I knew almost nothing about it, I jumped in to learn and with many helping hands we developed the full program. It’s possible for people to do something, if they have passion and the heart for community. It doesn’t matter what the issue is, if they feel like they want to see the solution, even if they might not have the confidence, nor know what to do, they just need to try their best. The change starts when a brave heart takes a first step.